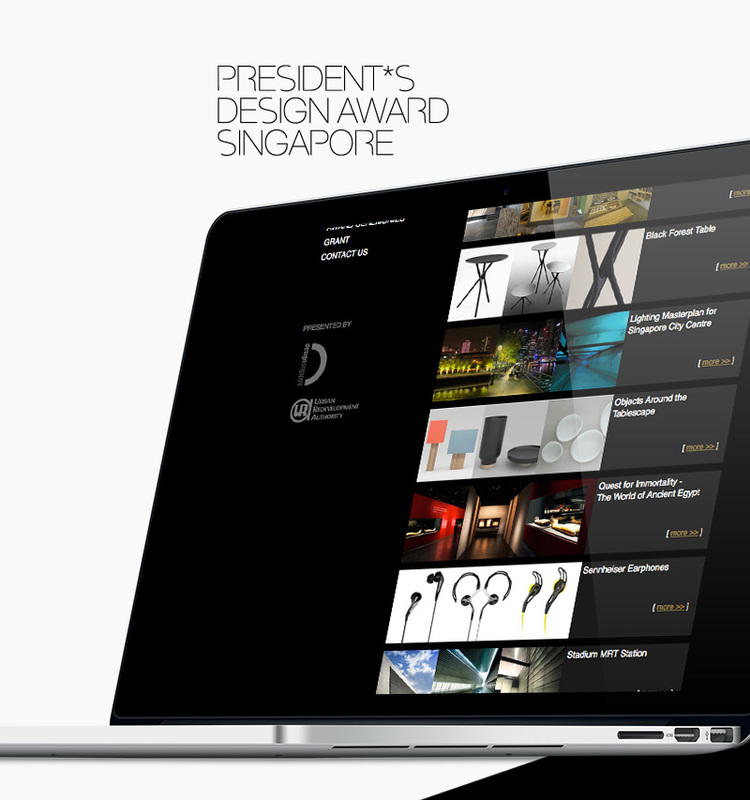 The President’s Design Award is Singapore’s most prestigious design accolade. 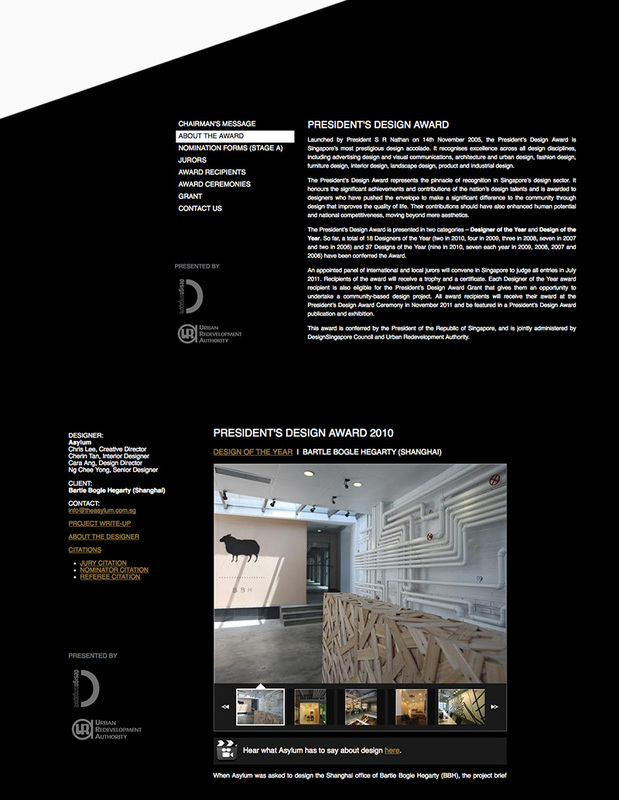 The Award recognizes excellence across all design disciplines including advertising, visual communications, architecture, interior, furniture, landscaping and urban design, fashion, product and industrial designs. 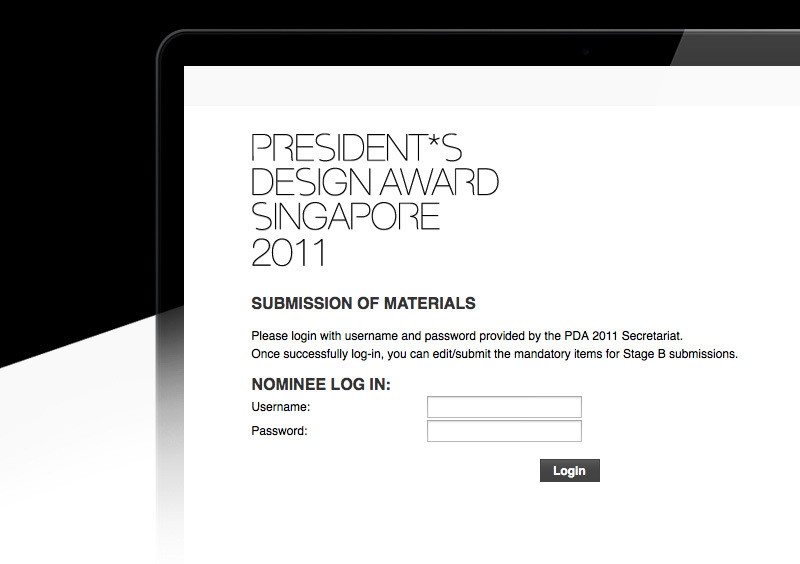 The website as the main platform to showcase the entire award application, nomination process and applicants’ works and designs. 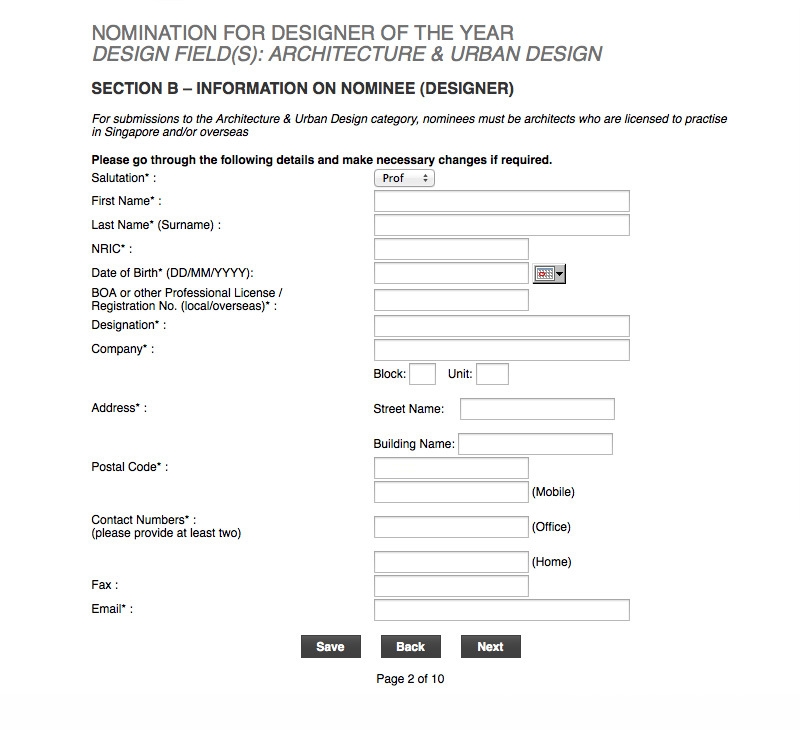 It enabled users to apply, nominate and upload their portfolio for the various awards scheme. The website provided the required functions to perform, at the different phases and allow for updating the entire application and nomination process up to successful award procedure, seamlessly.